For other places with the same name, see Wembley (disambiguation). Wembley (/ˈwɛmbli/) is an area of north west London, England, and part of the London Borough of Brent. It is notably home to the Wembley Arena and Wembley Stadium. Wembley formed a separate civil parish from 1894 and was incorporated as a municipal borough in 1937. In 1965, the area merged with the Municipal Borough of Willesden to create the London Borough of Brent, and has since formed part of Greater London. It includes Alperton, Preston, North Wembley, Tokyngton, Wembley Park, Sudbury and partly Northwick Park. Wembley is derived from the Old English proper name "Wemba" and the Old English "lea" for meadow or clearing. The name was first mentioned in the charter of 825 of Selvin. A further instance may be seen in the Plea Rolls of the Common Pleas, as Wambeleye. The village of Wembley grew up on the hill by the clearing with the Harrow Road south of it. Much of the surrounding area remained wooded. In 1547 there were but six houses in Wembley. Though small, it was one of the wealthiest parts of Harrow. At the dissolution of the monasteries in 1543, the manor of Wembley fell to Richard Andrews and Leonard Chamberlain, who sold it to Richard Page, Esq., of Harrow on the Hill, the same year. The Page family continued as lords of the manor of Wembley for several centuries and eventually commissioned Humphry Repton (1752-1818) the landscape gardener to design what is now Wembley Park. Wembley Park thus derived its name from Repton's habit of referring to the areas he designed as "parks". There was a mill on Wembley Hill by 1673. In 1837, the London and Birmingham Railway (now part of the West Coast Main Line) was opened from London Euston through Wembley to Hemel Hempstead, and completed to Birmingham Curzon Street the following year. The changing names of the local station demonstrated the increasing importance of the 'Wembley' name. 'Sudbury' station opened in 1845, renamed as 'Sudbury and Wembley' in 1882, renamed as 'Wembley for Sudbury' in 1910, renamed as 'Wembley Central' in 1948, at the time of the Olympic Games. To modernise the service, a new Watford DC Line was built alongside the main lines and Bakerloo line trains, and electric trains to Broad Street started in 1917. Electric trains to London Euston began running in 1922. Since 1917, there have been six platforms at what is now Wembley Central station. In 1880, the Metropolitan Railway opened its line from Baker Street through the eastern side of Wembley, but only built a station, Wembley Park, in 1894. There are now three physically separate services, the London to Aylesbury Line, the Metropolitan line, and the Jubilee line. Only the latter two services have platforms at Wembley Park station. In November 1905, the Great Central Railway (now, in this section, part of the Chiltern Main Line) opened a new route for fast expresses that by-passed the congested Metropolitan Railway tracks. It ran between Neasden Junction, south of Wembley, and Northolt Junction, west of London, where a new joint main line with the Great Western Railway began. Local passenger services from London Marylebone were added from March 1906, when new stations were opened, including 'Wembley Hill', next to what later became the site of Wembley Stadium - the national stadium of English sport - which opened for the FA Cup Final of April 1923, remaining open for 77 years until it closed for reconstruction in October 2000. After a long planning and redevelopment process dogged by a series of funding problems and construction delays, the new stadium finally opened its doors in March 2007. Wembley Hill station was renamed 'Wembley Complex' in May 1978, before getting its present name of 'Wembley Stadium' in May 1987. The area around the current Wembley Stadium was the location of the British Empire Exhibition of 1924-1925. Until the 2000s, remnants of the many reinforced concrete buildings, including the original Wembley Stadium, remained, but nearly all have now been removed, to make way for redevelopment. Wembley, in common with much of northwest London, had an extensive manufacturing industry, but much of it closed in the 1980s. Factories in the area included Glacier Metals (bearings), Wolf Power Tools, Sunbeam Electrical Appliances, Griffin & George (laboratory equipment) and GEC (whose research laboratories, opened in 1923, were one of the first of their type in the United Kingdom.). The retail centre of Wembley (the High Road and Ealing Road) has suffered from chronic traffic congestion and from the opening of neighbouring purpose-built shopping centres, first Brent Cross in the early 1970s and later the Harrow and Ealing Broadway Shopping Centres. During the 1960s, rebuilding of Wembley Central station, a block of flats, an open-plan shopping plaza, and a car park were constructed on a concrete raft over the railway. The shopping plaza suffered slow decline and was therefore poorly maintained, but it is being redeveloped. The first phase, including construction of eighty-five homes and reconstruction of the plaza, has been completed. Most of the rest of Wembley's housing consists of inter-war semi-detached houses and terraces and of modern apartment blocks, with a significant minority of detached housing. Extensive redevelopment has occurred in the Wembley Park area, about a mile northeast from Wembley town centre. On 16 May 1990, a 2 lb IRA bomb killed 34-year-old soldier Sergeant Charles Chapman and injured four others near the Stadium intersection in Wembley (see 1990 Wembley bombing). Wembley has a high degree of ethnic diversity, as illustrated by the accompanying pie chart for Wembley Central (ward). According to the 1991 census, 49.2% of the Wembley Cental ward was Asian, with 39% being Indian. The ward along with neighbouring Tokyngton (eastern Wembley) and Alperton were in the top 10 most diverse in London. The white population dropped further to 21.3% by the 2001 census, with 78.6% being of black or minority ethnic (BME) groups. The White British population of Wembley Central (population 14,727) decreased to only 792 people (5.3% of the population) in the 2011 census. This makes it the sixth least White British ward in London (seventh in the country). Other ethnicities include 7.0% Other White, 66.2% Asian (46.2% Indian), and 13.9% Black. Surrounding districts are notably more white and less Asian. Wembley Central only covers Wembley town centre and the whole district is represented by five other wards. Wembley formed part of the large ancient parish of Harrow on the Hill in the Gore hundred of Middlesex. In 1894 Wembley was split from Harrow, creating a new parish and urban district. It included Alperton, Preston, North Wembley, South Kenton, Tokyngton, Sudbury, Wembley Park and Northwick Park. The urban district included the neighbouring parish of Kingsbury until 1901 and again from 1934. In 1937 it was incorporated as the Municipal Borough of Wembley. The fire brigade headquarters of Middlesex County Council were located on Harrow Road and is now a fire station of the London Fire Brigade. Wembley Town Hall on Forty Lane, built in 1938, became Brent Town Hall when the municipal boroughs of Wembley and Willesden were amalgamated in 1965 to form the London Borough of Brent and transferred to Greater London. Since the 2010 elections, Brent Council has been controlled by the Labour Party. Wembley falls within the UK Parliament constituency of Brent North and the London Assembly constituency of Brent and Harrow. Until the nineteenth century, Wembley was rural and the sector retains a number of green spaces. These include Barham Park (10.5 hectares) in Sudbury Town, King Edward VII Park, established in 1914 behind the High Road (10.5 hectares), and Sudbury Green. Less managed spaces include Fryent Country Park, Barn Hill (19.87 hectares), and Vale Farm sports ground (30 hectares). Brent River Park / Tokyngton Recreation Ground (20.26 hectares) has recently been restored, returning the river to a more natural course. Nearby Sudbury Golf Course backs onto the Grand Union Canal, with its towpath running into central London. Sudbury Squash and Tennis Club has outdoor tennis courts, an indoor squash court, and a clubhouse. Wembley is a short distance away from the Welsh Harp reservoir and open space, created in the early 19th century by damming the River Brent to provide water for the Grand Union Canal. The area is identified in the Mayor of London's London Plan as one of thirty-five major centres in Greater London. Wembley is made up of six wards: Wembley Central, Alperton, Tokyngton, Barnhill, Preston and Sudbury. The town takes up the south-western quarter of the borough of Brent, being west of Kilburn and south of Kenton. 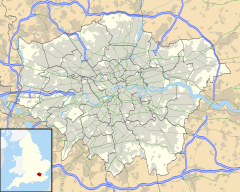 It is also east of Northolt in the neighbouring London Borough of Ealing. Wembley is part of both HA0 and HA9 post codes, and has its own post code. It includes Alperton, Preston, North Wembley, South Kenton, Tokyngton, Wembley Park and partly of Sudbury and Northwick Park. The main shopping area used to be centred on Wembley High Road, Central Square (which is undergoing redevelopment) and Ealing Road. In 1971 the High Road was seen as being the 11th best place to shop in London. However, it had fallen to 24th place by 1987. Ealing Road remains important as a centre of South Asian jewellery and gold shops, attracting people from as far afield as Leicester, but otherwise the focus of shopping has shifted north and east to London Designer Outlet in Wembley Park. The Air France-KLM European Sales and Service Centre, which is a sales channel for 15 European countries, is located in Brent Civic Centre in Wembley Park. The area's regeneration is one of the major development projects in London in the early 21st century, as specified in the London Plan published by the Mayor of London Ken Livingstone in 2004. The regeneration project is focused on the site first developed by Sir Edward Watkin as a pleasure ground in the 1890s, and then used for the Empire Exhibition of 1924-5. This area includes Wembley Stadium and Wembley Arena. The 1923 Wembley Stadium closed in October 2000 and was demolished in 2003. The new Wembley stadium was designed by a consortium including engineering consultant Mott MacDonald and built by the Australian firm Multiplex. It cost £798 million and opened in 2007. Grade II-listed Wembley Arena, now the SSE Arena, has been sensitively refurbished in keeping with its Art Deco style. In 2004 Brent Council approved a mixed use plan by Buro Happold for the development of 55 acres (223,000 m²) adjacent to the stadium, which was presented by Quintain Limited. It is envisaged that the whole of the former British Empire Exhibition site will be redeveloped. At the same time Brent Council is seeking to encourage redevelopment of the neighbouring Wembley town centre area around the High Road. Wembley has two local non-League football clubs, Wembley F.C. and South Kilburn F.C., that both play at Vale Farm stadium in nearby Sudbury. There once were two golf clubs in Wembley. Wembley Golf Club, founded in 1896, was situated north of the Metropolitan Railway line in what is now the Fryent Country Park. The club closed in the late 1920s. Wembley Park Golf Club was founded in 1912 in Sir Edward Watkin's Wembley Park pleasure gardens, improving on the 9-hole course that had opened, along with Watkin's Wembley Park, in 1896. The course itself became the site of the British Empire Exhibition. The prime landmark is Wembley Stadium, rebuilt 2003-2007 at a cost of £827 million, which is approached via the White Horse Bridge designed by the London Eye architects. Nearby is the SSE Arena, a Grade II-listed concert venue built in 1934 as the Empire Pool, a multi-use facility built for the 2nd Empire Games. The former Wembley (later Brent) Town Hall is a Grade II-listed building located on Barn Hill facing Wembley Stadium; it has now been refurbished as a French school, the Lycée International de Londres Winston Churchill. The London Borough of Brent's council chamber and administration have moved to the new Brent Civic Centre in Engineers Way, Wembley Park. St. Andrew's Presbyterian Church in Ealing Road, Wembley, was built in 1904, designed by Thomas Collcutt and Stanley Hemp. Construction was of brick and the design was influenced by the Arts and Crafts Movement. It was listed as a Grade II building in 1993. The church was converted into the Central Mosque Wembley in the late 1990s. Brent's only English Heritage blue plaque is on Forty Lane in Wembley, commemorating the comedian and entertainer Arthur Lucan. The position of Wembley Park on the Metropolitan line and the suburban development of the surrounding area following the British Empire Exhibition has ensured that Wembley remains an integral part of Metro-land in the popular imagination. Wembley lies near to the A406 North Circular Road and the Harrow Road passes through its centre. The town centre is served by three pay-and-display car parks. Wembley Arena is served by Wembley Park station on the London Underground via Olympic Way, Wembley Stadium on the Chiltern Railways line from London Marylebone to Birmingham Snow Hill, and Wembley Central (walking via the White Horse Bridge). Bus route 92 stops directly outside. The onsite parking facilities are close by, with a multistorey car park called Red Parking and a surface level car park on the eastern flank of the Stadium called Green Parking. Disabled parking is available at a reduced rate but on a first-come first-served basis. Three possible transport services have been proposed for the area; the West London Orbital, Fastbus and the North and West London Light railway. Politician Luciana Berger (born 1981), The Independent Group MP, grew up in Wembley. Drummer Charlie Watts, founding member of The Rolling Stones, was born in Wembley. Engineer and Formula One aerodynamicist, John Barnard, who is credited with introducing the first semi-automatic gearbox, the first carbon fibre composite chassis and the "coke bottle" shape of the rear bodywork, was Born in Wembley in 1946. Actor Riz Ahmed, star of satirist Chris Morris's black comedy Four Lions (2010), was born in Wembley. Scientist John D Barrow FRS, Professor of Mathematical Sciences at Cambridge University, cosmologist, Templeton prize winner and author of many popular science books and the award-winning play Infinities was born in Wembley in 1952 and attended Barham Primary School. Composer Peter Fribbins was born, and grew up, in Wembley. British ambassador to Israel Matthew Gould grew up in Wembley. Astrologer Russell Grant lived in Wembley. Scholar Vivian H. H. Green (1915–2005), the model for author John le Carré's spymaster character George Smiley, was born in Wembley. Matthew Harrison was born in Wembley in 1979. Actor and comedian Lenny Henry lived in Wembley. Actor and musician Gary Holton (1952–1985), Wayne in Auf Wiedersehen, Pet and frontman of Heavy Metal Kids, lived in Wembley at the time of his death. Footballers Raheem Sterling, Jerel Ifil, and Jerome Thomas lived in Wembley. Musician John Lingwood, drummer in Manfred Mann's Earth Band, was born in Wembley. The actor Arthur Lucan (Arthur Towle), famous for his performances as 'Old Mother Riley', lived at 11 Forty Lane, Wembley, as did his wife and co-star, Catherine 'Kitty' McShane. Actor Robert McBain (1932–2004), who appeared in Fawlty Towers and A Fish Called Wanda, was born in Wembley. Rock legend Keith Moon (1946–1978), drummer for The Who, lived in Wembley. Singer Maxine Nightingale, best known for her soul hit records in the 1970s, was born in Wembley. Figure-skater Valda Osborn was born in Wembley. Nurse, journalist, broadcaster and novelist Claire Rayner lived in Wembley. Dancer, author, musician and bandleader Victor Silvester was the second son of J. W. P. Silvester, vicar of St. John the Evangelist Anglican church, Wembley. Composer John Tavener was born in Wembley. Musician Harvey Shield grew up in Wembley. Wikimedia Commons has media related to Wembley. ^ "Harrow on the Hill - British History Online". ^ "Harrow, including Pinner : Manors - British History Online". ^ TheFA. "404 - Page not found - wembleystadium.com". Archived from the original on 17 October 2010. Retrieved 9 October 2010. ^ "Doors finally open at new Wembley". BBC News. 17 March 2007. ^ Mitchell, Vic; Smith, Keith (February 2005). "Figure 51". Marylebone to Rickmansworth. Midland Main Lines. Midhurst: Middleton Press. ISBN 1-904474-49-7. ^ Clayton, Robert; Algar, Joan (1989). The GEC Research Laboratories 1919-1984. Peter Peregrinus. ISBN 0-86341-146-0. ^ Brent Resource and Information Network (BRAIN). "Public square reopens in Wembley Central". Brent Council. Retrieved 2009-10-25. ^ "The Observer from London, on June 3, 1990 · 3". ^ a b "Wembley Central - UK Census Data 2011". UK Census Data. Retrieved 2015-12-20. ^ Barres-Baker, M.C. "Places in Brent Wembley and Tokyngton" (PDF). Retrieved 2016-07-03. ^ "Rallying to the gold standard". Retrieved 2016-07-03. ^ "Enjoy more things to do in Wembley Park / London Designer Outlet". www.londondesigneroutlet.com. Retrieved 2016-07-03. ^ "Air France - Refund request - Official website". AirFrance. Retrieved 2016-07-03. ^ "Wembley: Towers to arches". New Civil Engineer. Retrieved 2016-07-03. ^ Stadium, Wembley. "90 Years Of Wembley Stadium | Wembley Stadium". www.wembleystadium.com. Retrieved 2016-07-03. ^ "Wembley Arena | John Sisk and Son". www.johnsiskandson.com. Retrieved 2016-07-03. ^ "Wembley Golf Club", "Golf’s Missing Links". ^ Llewellyn, John. "Wembley Park Golf Club, Greater London". www.golfsmissinglinks.co.uk. Retrieved 2016-07-03. ^ Campbell, Denis (15 October 2006). "Eight-year Wembley stadium saga is over at last". The Guardian. London. ^ "Lycée International De Londres - Home". www.lyceeinternational.london. Retrieved 2016-07-03. ^ "St Andrew's Presbyterian Church - Wembley". britishlistedbuildings.co.uk. 2011. Retrieved 13 November 2011. ^ "LUCAN, Arthur (1887-1954)". English Heritage. Retrieved 23 August 2014. ^ Grant, Philip. "Arthur Lucan – the man who was "Old Mother Riley"" (PDF). Retrieved 2016-07-03. ^ team, Code8. "Road and parking - WEMBLEY PARK". Retrieved 2016-07-03. ^ team, Code8. "Accessibility - WEMBLEY PARK". Retrieved 2016-07-03. ^ "ParkRoyal.org is for sale" (PDF). This page was last edited on 14 April 2019, at 16:29 (UTC).